The 2018 football season came to an end on Saturday, Nov. 17 as the Pioneers fell to Slippery Rock University 20-14, in the first round of the NCAA division II football playoffs. 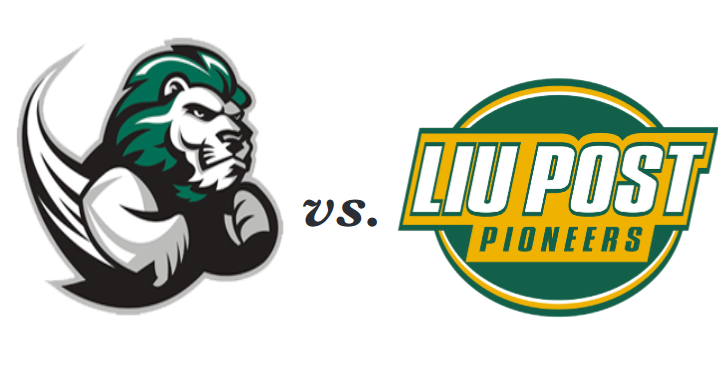 LIU Post was the number two seed in super region 1, but number 7 Slippery Rock won in front of 2400 fans at Bethpage Federal Credit Union Stadium. Slippery Rock struck first as receiver Jermaine Wynn Jr. scored on a 75 yard catch and run on the first play of the game. Wynn finished the game with 155 yards on 8 receptions. Quarterback Roland Rivers completed 12 out of 21 passes for 163 yards and picked up an extra 61 yards on the ground. The Pioneers had two interceptions, one from Jake Carlock, senior linebacker, and the other from Nazir Streater, sophomore cornerback. The Pioneers had one touchdown, a 2-yard pass from Chris Laviano, redshirt senior quarterback to Jake Bofshever, redshirt junior receiver, early in the fourth quarter. Chris Laviano finished his final game as a Pioneer with 333 passing yards on 29-61 passing. Both teams converted on both of their field goal attempts throughout the game. Jake Chapla of Slippery Rock kicked a 25 yarder in the second quarter, and a 41 yarder in the fourth. Joey Tolgyesi, Pioneer senior converted on a 22, and a 25-yard field goal, both in the first half, bringing his season total to fourteen. With the 2018 campaign officially over, the Pioneers finished with an overall record of 10-1. 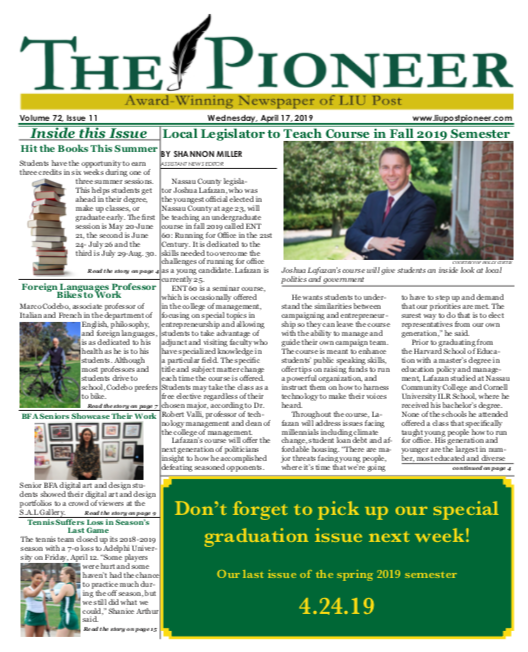 The 2018 season marks the final season that LIU Post will play as members of the Northeast-10 Conference of Division II, as they will join the Northeast Conference of Division I next fall.